Growl along with the Gruffalo's Child as she tip-toes through the snow on a wild, windy and NOISY night! Press the ten interactive sound buttons on this amazing play-along version of Julia Donaldson and Axel Scheffler's bestselling The Gruffalo's Child and bring the story vividly to life! 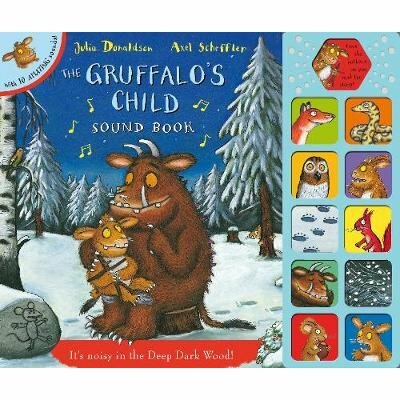 The Gruffalo's Child Sound Book is the perfect gift for all fans of The Gruffalo.